raspberri cupcakes: Raspberry Swirl Cupcakes for raspberri cupcakes' 5th Birthday! 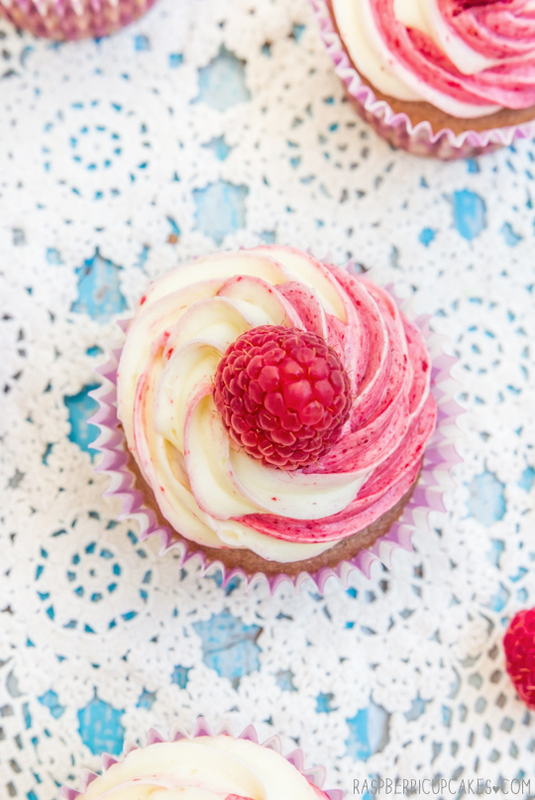 Raspberry Swirl Cupcakes for raspberri cupcakes' 5th Birthday! 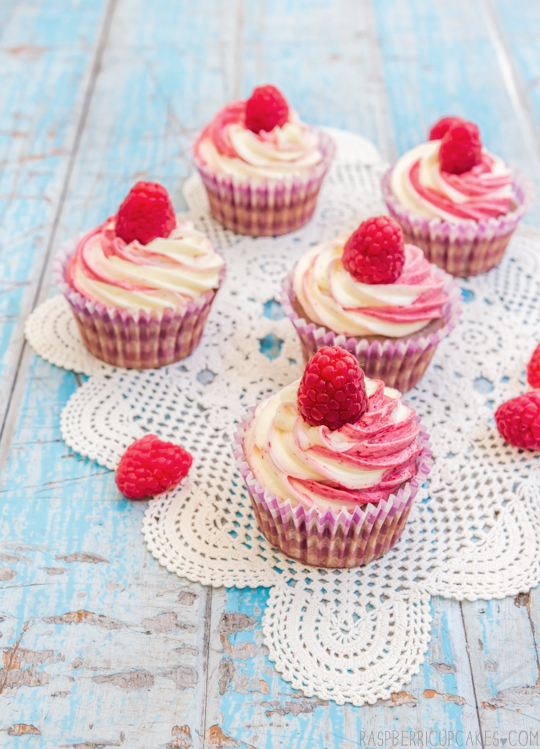 Today raspberri cupcakes is 5 years old! Can you believe it? I can't. I'm pretty sure in blogging years that is a decently long time. I couldn't let an occasion like this go by without any acknowledgement, even though things are crazy in my part of the world at the moment. 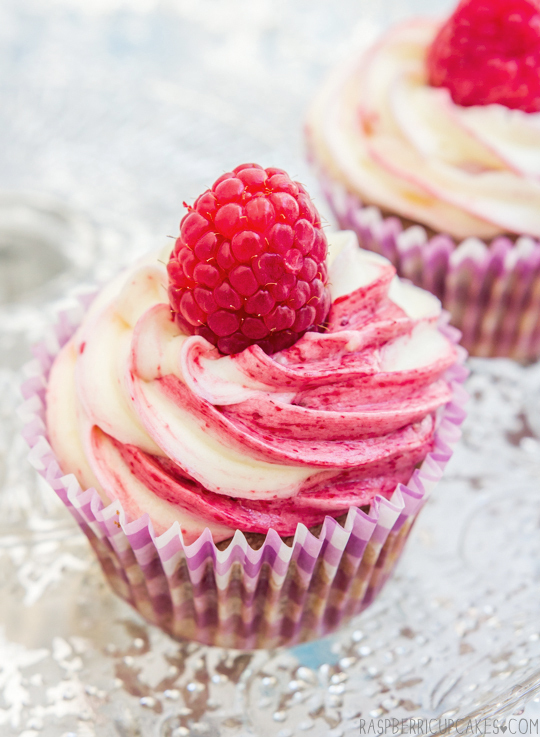 So of course, I made raspberry cupcakes for raspberri cupcakes. Swirly ones. Aren't they pretty? I mixed some raspberry compote into the white chocolate icing, and also some raspberry puree into the white cupcake batter. Strangely enough the batter turned a sort of purple shade, which matched the paper liners. I thought it was appropriate since purple is my favourite. 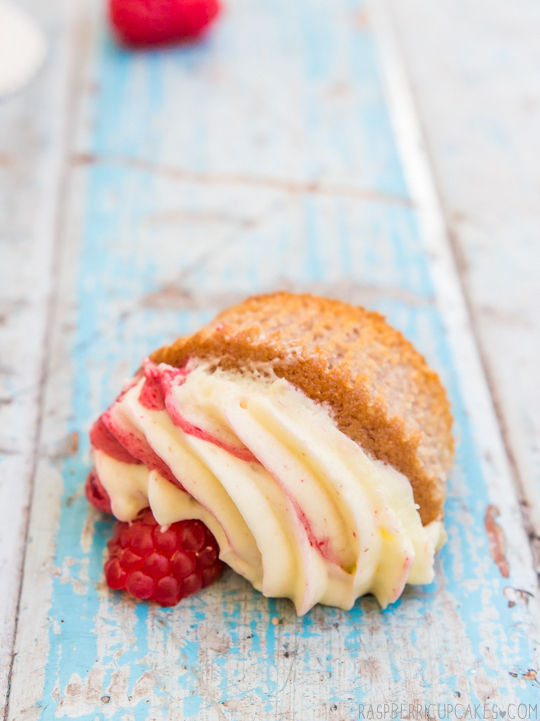 The cakes on their own didn't taste as strong as I had hoped, so you might want to try mixing in whole raspberries if you want a bigger raspberry flavour in the cake. The icing was also a little salty for my liking, so I've switched it in the recipe below to use unsalted butter. But I loooove how the swirlyness turned out. So purdy. It helps that I invested in some nice big new piping bags so it was easy to fill it half with white and half with pink icing to achieve the perfect swirl. It's so weird to think about how far this blog has come from its humble beginnings. I never would have imagined how many amazing experiences and wonderful friends I would get from starting this little website and I feel super lucky because of that. This blog has become part of my life and hopefully will continue to be part of my future. To those of you who read my blog, try my recipes, comment here or on facebook or instagram or write me messages or emails, thank you so much. You can't imagine how much it means to me. There have been so many times where I've had fleeting thoughts about whether it was worth the effort to keep going with the blog, and then I've gotten a sweet email or comment from a reader and it just reaffirms that it is always worth it. So cupcakes for everyone! I wish I could send one out to each and every one of you but I can't, raspberries are 7 bucks a punnet and I would go broke. But I wish I could! Anyway I hope that I can keep doing what I'm doing, because it's been a blast. Happy 5th Birthday to my little blog! Prepare the icing ahead of time as it will need to be chilled before whipping. Place butter and white chocolate in a large saucepan and melt over low heat, stirring regularly until smooth (the solids may separate but this is okay). Remove from heat and cool for 10 minutes, then chill in the fridge until solid, about 3 hours. If you are impatient like me you can stick it in the freezer for about half an hour. Place raspberry puree, lemon rind and sugar in a small saucepan on medium/low heat and simmer until mixture has thickened and darkened slightly, about 10-15 minutes. 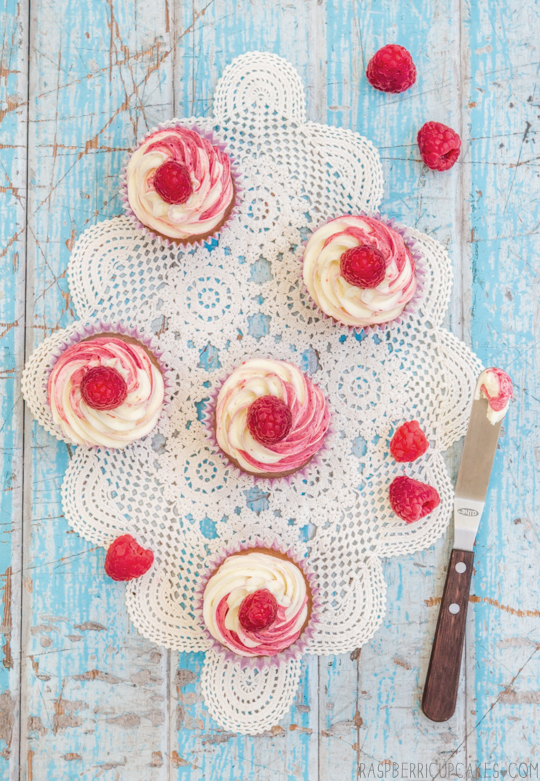 Before you are ready to decorate your cupcakes, remove white chocolate mixture from fridge at least 30 mins ahead of time to allow it to soften slightly. Place white chocolate mixture in a large mixing bowl and beat on high with an electric mixer until very light and fluffy. Place 1/3 of the mixture in a separate bowl and fold in raspberry mixture or jam until combined. 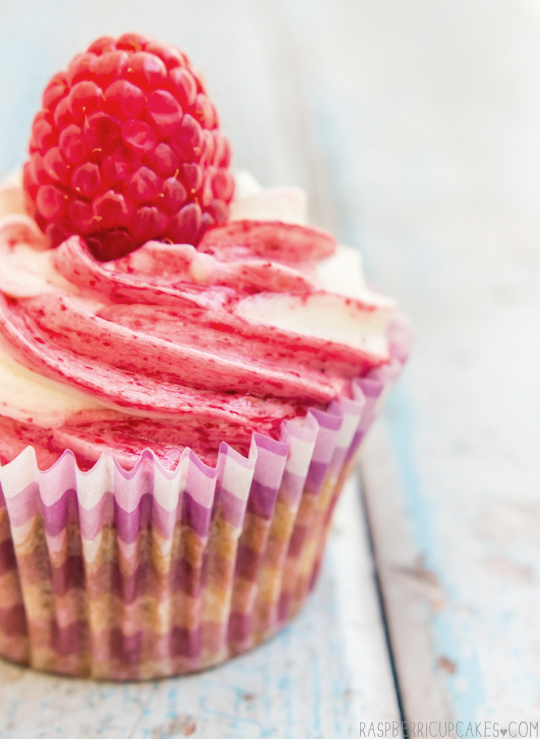 Optional: Top cupcake with fresh raspberry for decoration. Preheat the oven to 180°C (350°F). Line two cupcake trays with cupcake papers. Triple sift flour and cornflour together in a medium bowl. Pour raspberry puree, milk, egg whites, and vanilla into a medium bowl and mix with a fork until blended. Mix flour mixture, sugar, baking powder, and salt in bowl of electric mixer at slow speed. Add butter, cut into cubes and continue beating on low for about 1-2 minutes. Add all but 1/2 cup of milk mixture to flour mixture and beat at medium speed for 1 & 1/2 minutes. Add remaining 1/2 cup of milk mixture and beat for about 1 minute. Optional: fold in extra chopped raspberries at this point. Fill cupcake papers 3/4 full with batter (an ice cream scoop helps with this). Bake until toothpick/skewer inserted in the center comes out clean, about 20 minutes. Cool in tin for 5 minutes, then carefully remove from tin and cool completely on a wire rack. Pipe icing mixture above, store iced cupcakes in fridge, removing 15 minutes before serving to allow icing to soften slightly. Icing will melt if left at room temperature for too long. Happy 5th Anniversary! Beautiful cupcakes, love the bi-colour icing. Happy blog birthday! Love the running radpberry GIF haha. Congratulations! And what a charming gif that is. 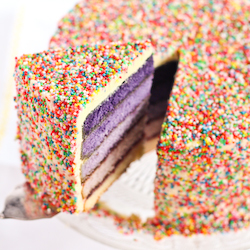 Hope you have a wonderful cake-filled blogoversary! Cutest GIF ever! 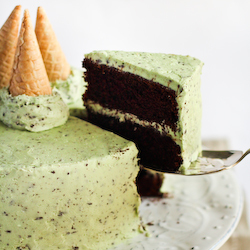 The frosting is to die for! congrats on such a big milestone, these look fab as usual! Congrats, what a great milestone! 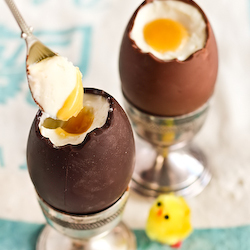 And these look delish! Congratulations, Steph! Your blog´s adorable and your receipes are wonderful. Take care. happy blogiversary!!! here's to many more delicious years to come! HAPPY 5th BIRTHDAY! and yum! those cupcakes look delish~~ love the icing! I love your blog - Happy Blogiversary! 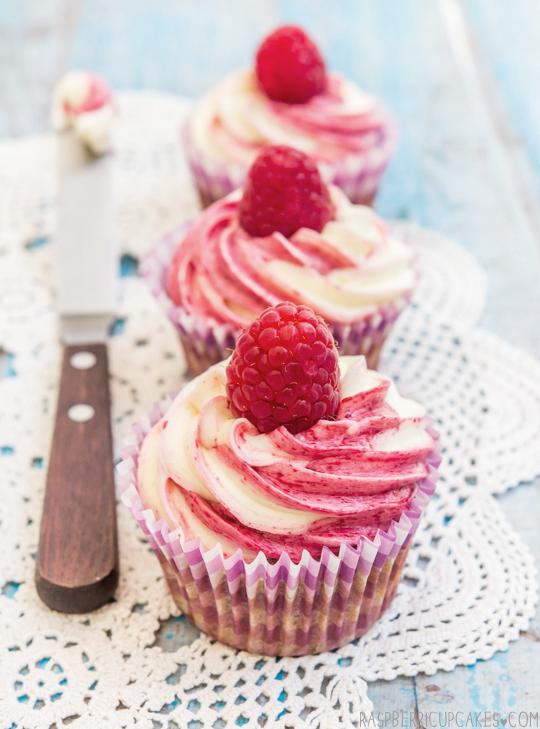 The raspberry cupcakes look amazing! The animation is soo great :) & the cupcakes look very delicious! Congratulations! I've only recently discovered your blog, but I like what I'm seeing :) And you take gorgeous pictures! YUM! i wish you could send everyone a cupcake too - they look so delicious! congratulations and happy 5th birthday :D !!! here's to many more years! Oh gosh you are needed on the web now. I hope you have many more years ahead of you. Your creations are simply stuff of genius! Feliz cumpleaños y que sean muchos mas. Kisses and happy birthday to your blog!! I'll just weigh in and say I love your blog. I've been reading for about a year and a half I think, and I still look forward to updates. So far I've tried three of your recipes and though they usually end up messy the flavour is always amazing. 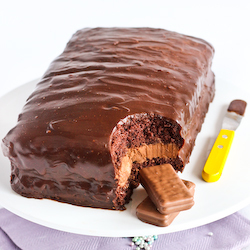 I love your cake posts. though I am never game to try them. Aw wow, five years in blogging is such an achievement. I love the swirly icing that you have done here, looks absolutely perfect. Congratulations on your blog anniversary. I love your blog and look forward to the new recipe each week. Everything I've tried has been great but I love it just as a source of inspiration too! I made your Iced Vovo cake a couple of years ago for a farewell for a colleague who was moving back to the US. It was such a hit that when another colleague retired late last year she requested that cake 4 months out from her departure and then when I agreed spent the next 4 months telling everyone to look forward to it. Love the blog and your gorgeous pictures. Please keep up the faith. How exciting to reach 5! I've only just started following this blog, but love it already. felice compleanno! Ti seguo con piacere immenso, il tuo blog è magnifico! Steph, '5 Years' is a huge milestone Anniversary. Lots of love, time, expense, and heart goes into blogging. Many, myself included, look forward to your recipes and photographs. Keep 'em coming! Happy blog-versary! Here's to five more years of yummy recipes like this. That GIF is adorable, and the cupcakes look incredible. 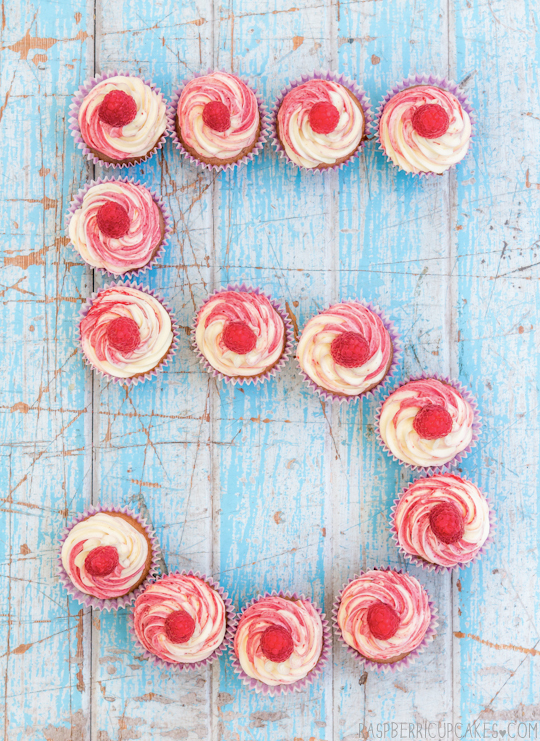 Happy 5th Birthday to the blog! Beeautiful looking cupcakes! Happy 5th too! happy 5th birthday! beautiful cupcakes! that gif is amazing! Happy birthday!! !They look awesome!So cute and delicious!! Congratulations, five years is awesome! And these cupcakes look delicious! Happy Birthday! That gif makes my heart melt, so adorable!! happy 5th birthday! i stumbled across your blog and i instantly fell in love with it. the cupcakes look soo delicious! steph, your blog is amazing and you have such a talent! WE are the lucky ones because you spend all this time every week to create beautiful sweets and share them with us. so happy 5th birthday to your blog and THANK YOU!! Does the 1 tbsp measurement equal 15ml or 30ml? Sorry my mistake! It should be 1 tsp of salt, I've updated the ingredients list.